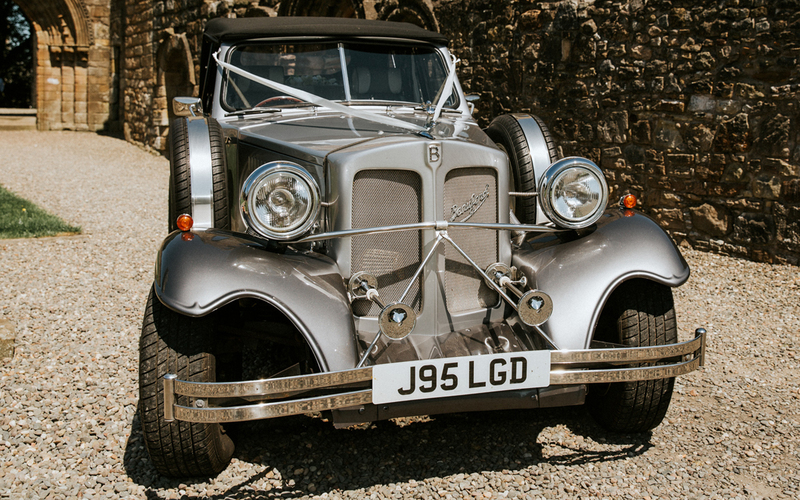 This 1930s style vintage wedding car is ideal for both summer and winter weddings. 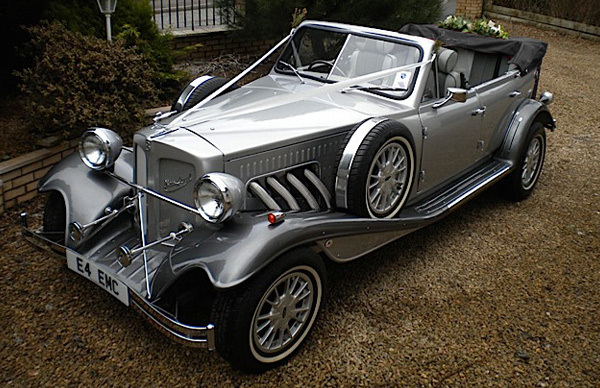 At Glasgow Wedding Cars we offer you the best in the classic cars category with our two long bodied Beauford bridal cars. Both cars are unique as they have been built with you in mind, to be the most gorgeous wedding cars in Glasgow for that very special day of yours. These classic beauties come in two tones, Silver and Gun Metallic, perfect for the ’wedding at the church’ atmosphere. 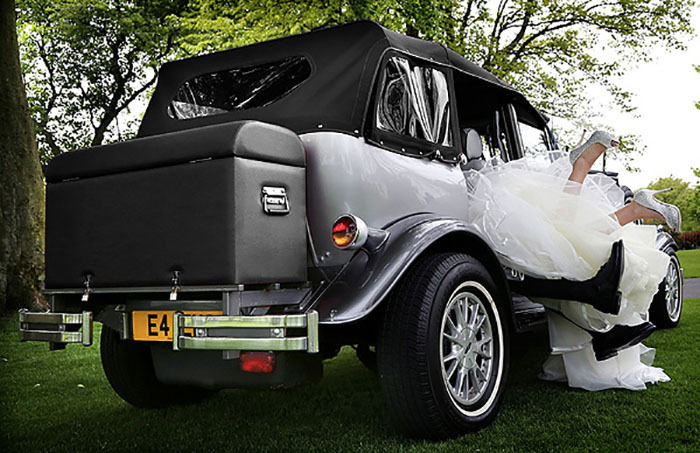 Featuring long bodies and four doors, our Beauford Tourers are the only ones in Glasgow that are perfect to accommodate even the largest of wedding gowns. 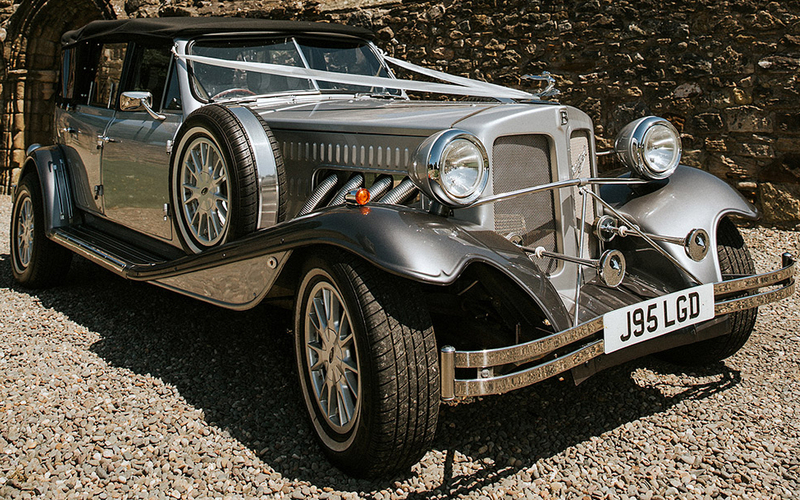 We are proud to offer you our most vintage and desired wedding cars in the United Kingdom. These truly are wonderful cars and the finest way to start your married life as you travel in luxury on your wedding day. 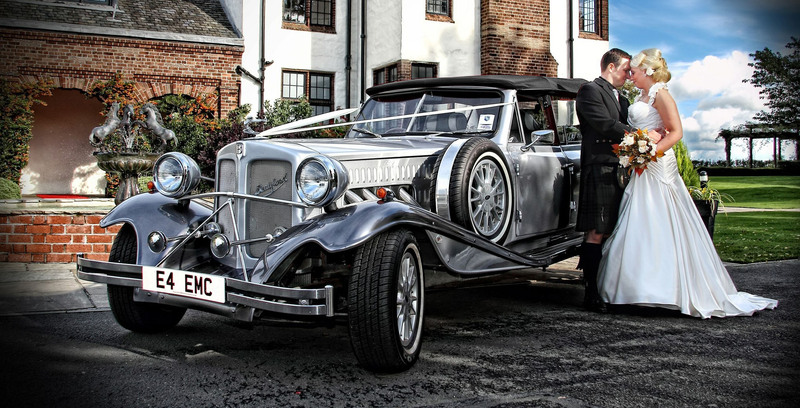 Located in South Glasgow, Glasgow Wedding Cars is an independent car hire company operating throughout Glasgow, East Kilbride, Paisley, and beyond. 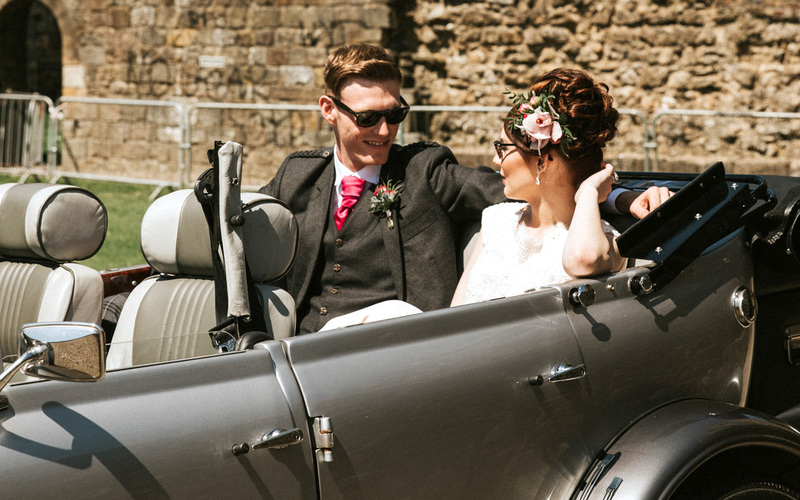 We help you make a great impression on your special day with our amazing wedding cars! Our chauffeurs are professionals and on your special day, they will do their best to make it the best day of your life! Our experience ensures that your special day runs smoothly. You can rent an individual car or as part of a package. If you wish to book two or more wedding cars in Glasgow, we offer a discounted price package. Give us a call and find out more!